Sanjay Dutt is an Indian film actor and producer. He is the son of veteran actors Sunil Dutt and Nargis Dutt. Sanjay made his acting debut in 1981 and has appeared in more than 100 Hindi films. In a film career spanning more than 35 years, this actor has done roles in genres ranging from romance to comedy. He also played roles of gangsters, thugs and police officers in the drama and action genres. Major films that fall in his kitty are Saajan, Khal Nayak, Vaastav: The Reality, Kaante, Munnabhai M.B.B.S., All the Best, Double Dhamaal and many others. Sanjay was arrested under the Terrorist and Disruptive Activities (Prevention) Act in April 1993. Charges of terrorism were dropped but he was convicted of illegal possession of armaments. After serving his sentence with good behaviour and conduct, he was released on February 25, 2016. In personal life, Sanjay Dutt married actress Richa Sharma in 1987, but she died of brain tumour in 1996. 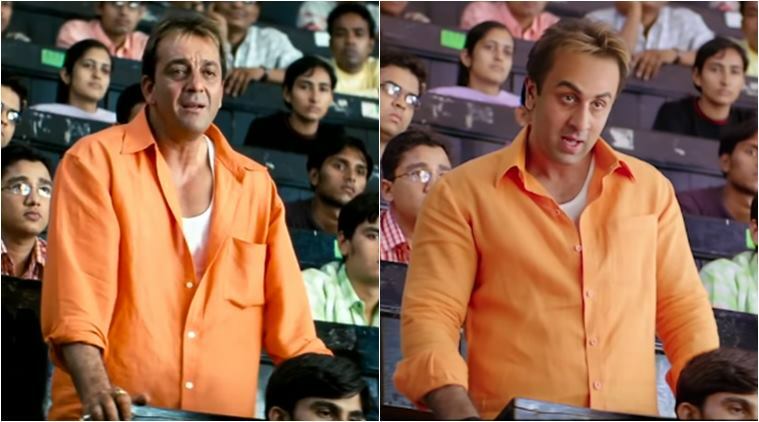 Few minutes into Sanju and you’ll easily forget that it is a biopic. The Kapoor scion has so seamlessly melted into his role that after the movie, if you hear Sanjay Dutt’s voice, you might just imagine Ranbir’s face on it. This actor was the soul of Sanju, and managed to strike a bond not just with his on-screen friend, but even the audience. Vicky’s Kamli, reportedly, was an amalgamation of a bunch of Sanjay’s real life friends who’ve stood by him through thick and thin. And one of them is his US based entrepreneur buddy Paresh Ghelani. Now, how much of Vicky’s part was true, even we would love to know. Sanjay fails to read out the thank you note he wrote for his father before his death. Throughout the funeral sequence, flashes of memory keep coming back to Sanjay and he even imagines reading it out to Sunil Dutt. Agreed, that it was one of the most beautiful and heartbreaking portions of the film. And if it had really taken place, we cannot imagine the plight of Sanjay.